Nicolas, Lord Hatherly and Miss Alice Tombs never wanted marriage...to anyone. For Nick, a hedonistic lifestyle is how he deals with what he sees as a family destiny of madness. He is determined the family line will end with him and he won't put a wife in the position of living with what he is certain will be his future madness. Alice is a brilliant young woman trapped within the feminine confines of her time. She speaks multiple language and longs to explore the world. She's secretly transcribing a valuable and prurient text she discovered among a relative's belongings which she fully intends to return to India on her first voyage. She hasn't the time for a fortune-hunting peer to fulfill her parents' social-climbing aspirations and has sent many a potential groom packing in her own delightfully unique way. Unfortunately - or perhaps, fortunately - for Alice and Nick, a game of cards between their fathers has just sealed both of their fates. Though they aren't going down without setting a few rules of their own. 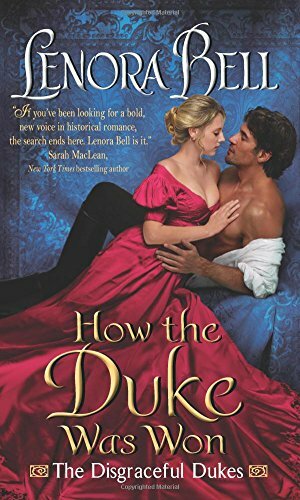 Blame It on the Duke is one of the few romances I've read where I already adored the heroine before beginning the book and had my fingers crossed that the author would create a hero worthy of her. She did. Alice is intelligent, quirky, opinionated, adventurous, and an absolute delight. Nick is a handsome, arrogant, and sensual man who embraces his sexuality and reputation as a rake proudly but, beneath his exterior, lives a much more complex and vulnerable man. The cast of characters surrounding Nick and Alice is just as expertly crafted as our hero and heroine with Bell's depiction of Nick's father and his household staff being particularly poignant. The way Bell brings these people together, the journey she takes them on, and the growth they experience is a blend of humor, heart, angst, adventure, and sizzling passion. I highly recommend going along for the ride. Welcome back, Lenora and congratulations on the release of your newest novel, Blame It on the Duke. Thanks so much, PJ! It’s always such a pleasure to visit The Romance Dish! I was intrigued by Nick from the glimpses of him in How the Duke Was Won but I fell head over heels in love with him during his own journey to love. What do you want readers to understand about this character? Well thanks for warming an author’s heart, PJ! I’m so glad you fell in love with Nick. He’s one of those classic dark and dangerous Regency rakes who indulges his hedonistic urges and lives only for today. But he has his reasons. He lives with the fear that he will go mad just as his father and grandfather did before him. He doesn’t believe in the future or in the possibility of a deeper relationship…until he meets Alice. I was so excited when I learned that Miss Alice Tombs would be the heroine of this novel. I adored her in How the Duke Was Won! At first glance, she and Nick seem to be the mismatch of the century. What was it about this character that convinced you she could be his salvation instead? Alice has definitely been a reader favorite! I think I receive more emails about her than anyone else. So I knew I had to do my best to give her a gloriously satisfying story. She’s a bookish lady who is fluent in seven languages and longs to travel to India. When she’s forced to marry Nick, she thinks she’s found a way to protect her heart while gaining the freedom to travel. But I knew that Alice’s exuberant nature and love for adventure would be the perfect tools to destroy the ironclad walls Nick has built around his heart. Nick’s father is another character who captured my heart. I enjoyed his love of orchids and how caring for them grounded him. What flowers bring a sense of joy and peace to you? It’s funny you should ask that, PJ, because I was actually growing orchids while writing the book! A coworker left me some shriveled, dried-up orchids in plastic pots. Everyone told me to just throw them away but for an entire year I tended, watered, and cared for those orchids, holding out hope that they would eventually blossom. When they finally flowered I couldn’t believe how gorgeous they were! One of them was purple, one of them was white, and one of them was the most delicate cream shade with violet on the inside. Bringing those orchids back to life gave me a deep sense of pride and joy and I wove those feelings throughout the book. The more I see of Patrick (who we first met in If I Only Had a Duke), the more enamored I become. Do you have plans for him? I would be thrilled to write a book about Patrick someday because he has such an interesting history and he’s such a good father to his young son, Van. I’m hoping that one of these days I will be able to return to this series and tell his story! Alice’s cat, Kali came to life through your words. Please tell us about your pets. Are they as lively and inquisitive as Kali? Will you be attending events this year where readers can meet you? This year is going to be busy with lots of fun events! 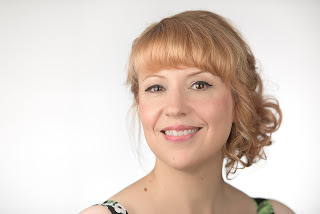 I can’t wait to connect with readers at the Barbara Vey Reader AppreciationWeekend, the Romantic Times Convention, the North Words Writers Symposium, the RWA Annual Convention, the Historical Romance Retreat, and the Buns & RosesRomance Tea for Literacy. I adore hearing from readers! Find me at my website: www.lenorabell.com or follow me on Facebook for fun giveaways and musings: www.facebook.com/lenorabellauthor. Thanks for visiting with us today, Lenora! Would you like to ask our readers a question? Thanks so much for hosting me, PJ! Do you have a favorite flower that brings you a sense of joy and peace? Do you enjoy reading books that feature pets? Which books with pets are your favorites? Lenora Bell grew up in a small Alaskan town by the ocean that still has no traffic lights or fast food. An English teacher with an MFA in Creative Writing, she travels the globe using music to bring smiles to classrooms. She currently lives in the Midwest with her carpenter husband and two naughty tiger-striped kitties. In 2014 she won the Romance Writers of America’s Golden Heart Award for Best Historical and her first Regency romance was published by Avon Books in 2016. It will be easy to walk away after a few months of make-believe wedded bliss—won’t it? Alice and Nick are about to find out...one sultry night at a time. I love Spring flowers. Irises are my favorites and I have about 10 or 12 different varieties. They come out about the same time as the peonies and make a nice display. I do enjoy books with pets. Dogs are favorites, but it is the relationship between the character and the animal that is important, so for the story it needs to be their favorite animal. Congratulations on your success as an author. I look forward to reading Blame It on the Duke. I can relate to Miss Alice. The desire have the freedom to explore and see the world has not always been easy for a woman to do. The desire to be your own person without the restrictions society imposes has stifled women for ages. It sounds like the arrangement that was worked out for Lady Alice and Nicholas gave them both a freedom neither expected. It is nice to see deserving people get a happiness they never imagined. I love peonies! I've never tried growing them but I sure do enjoy them. Hope you enjoy Blame it on the Duke as much as I did. If you haven't read book one, How the Duke was Won, it paints a wonderfully quirky portrait of Alice in a key secondary role - before she meets Nick. PJ, I don't know what your yard situation is, but peonies are pretty easy. I have had peonies and irises almost everywhere we have lived. Of course, we live in the South now and flowers grow like crazy and kind of take over. I spend more time cutting things back than encouraging them to grow. Lenora, I look forward to reading your books. I will be looking for HOW TH DUKE WAS WON. I always try to read series in order. I love carnations, the fragrance is so unique. I do like books that feature pets, I have not read many, though, and they were cozy mysteries. Thanks for the chance to wi. Thanks for stopping by, Lisa! I also love books featuring pets...as long as no pets die. Thanks for reading, Lisa!! I'm actually featuring carnations in the book I'm writing now because it's inspired by Mary Poppins and Mr. Banks always wore a red carnation. They do have such a delicate fragrance. Have a wonderful rest of your week! I love geraniums. The beauty, the colors are all wonderful. Books with pets are meaningful and emotional. The novel with the dog, Chet is my favorite since he is sensitive, smart and almost human. Geraniums are one of my favorites and one of the few flowers I can successfully grow. I'll be adding new ones to my patio planters in May. Oh yes geraniums are always a favorite - so bright and cheerful! I do love romances that feature pets. I read Eloisa James SEVEN MINUTES IN HEAVEN and just loved the rat, even though I probably would't want to have a rat myself 😀 Thanks for stopping by and saying hello! My brothers talked my mom into a pet rat when I was in high school. Sam (the rat) was a surprisingly sweet and affectionate pet. Flowers that are my favorite are tulips. So beautiful and the shades. Enzo, the dog in the Art of Racing in the Rain is a wonderful book which is unforgettable. Enzo is a wonderful choice! Congratulations on the new release. I like flowers, but I don't really have a favorite. I also enjoy pets in a story, especially dogs. I loved the first two books and am so excited to read the third!! Looking forward to meeting you at the Barbara Vey event! Hi Katie! I'll be at the Barbara Vey event too. My first time. Hope to meet you there! Thank you so much for the review and Q&A. I'm such a fan of Lenora Bell and have had her books on my TBR list forever! I love spring flowers (tulips and daffodils and crocus), but lilacs and lily of the valley bring me happiness and comfort. My bedroom window growing looked out over a bank with lilacs and lily of the valley. I love books with Pets! Recently I read the Lady Julia series by Deanna Raybourn. I loved all the pets that accumulated in the series! Dogs, a Raven, a mouse, etc! I won blame it on the duke e book today from Lenora Bell,which today is also my birthday so happy birthday to me lol, I believe I may have found a new favorite author just by listening to get read an exerpt from the book ,I can't wait to start reading it when my tablet charges thank you again. Happy Birthday, Brittany! How fun that you won a copy of the book! I hope you enjoy it as much as I did. Happy birthday Brittany! I didn't know it was your birthday. How appropriate! I really hope you enjoy it and thanks so much for commenting! They're so pretty, aren't they? Aren't they gorgeous? My father-in-law is growing tulips and daffodils and they are going crazy right now. So cheerful and pretty! Purple and blue flowers are my favorites, especially Grape Hyacinth. But any flowers are beautiful. As for pets, I'm not an animal lover, but my daughter has Madagascar Hissing Cockroaches, and I am fascinated by them. Most people I know are grossed out by them, but I think they make great pets. I love when people have unusual pets like that in books. Ferrets, snakes, exotic birds, anything out-of-the-ordinary. Wait what? Madagascar Hissing Cockroaches? You win for most unusual pet Janette!! I do like the unusual pets as well. In fact, I'm working one into my latest book. Thanks so much for your fun comment! Ah yes, gardenias are a classic for beauty and scent. And a strong, tough man with a pet just melts my heart :-) Thanks for stopping by! I'm so looking forward to catching up with this series! Favorite flowers are roses--not so much the florist varieties, but the fragrance-laden ones I grow at home.I love books with pets in them. Kristan Higgins always has wonderful pet characters who are members of the family. Thanks for the post and giveaway. Lenora's books are so witty, romantic, and fun! I hope you enjoy them. I first discovered Kristan Higgins at Walmart when I saw the puppy on the cover of her book. Thanks so much for commenting! We've had a few people mention Kristan Higgins and the way her pets steal the show - I agree! Can't go wrong with roses. Yellow are my favorite. I love those blankets of wildflowers in the medians of interstate highways. They always make me smile. I am a carnation fan. I have lived my life with pets, dogs, cats and several others creatures. Unfortunately for me, this past Thursday I lost my most recent dog and it has been very difficult. I have enjoyed several cozy mystery series which include pets. I also like Patricia Rice's Magic series because the animals in those books have talents you would not believe. I really enjoyed the first 2 books in this series, and this one sounds like another winner. Favorite flower? I like any and all. Flowers are such a simple pleasure. Pets are another simple pleasure, and they can add a lot to a story. Kristan Higgins uses pets well in her books. One of my favorite flowers is the purple Iris (my Dad's favorite too), and the scent of Gardenia's remind me of my Mom - Hyacinth's are my favorite Spring flower. I love pets/animals in books - they often give you a good view on the characters. One of my former neighbors had a gorgeous garden of Irises in a variety of colors. I walked past their house every day when those flowers were in bloom just to soak in the beauty. Iris, Gardenia and Hyacinth - wouldn't that make a lovely bouquet? Thank you so much for stopping by and commenting, Di! I love carnations and roses. I also adore daffodils which I miss seeing. Animals in books are always so cute. Elizabeth Hoyt always has such lovable pets in her books. I've enjoyed Lenora's previous books and would really love to read "Blame it on the Duke". Hi Diane, so glad to hear you liked the previous books in the series! And roses are of course the classic choice - my husband knows to bring me a bunch of the when I'm on a book deadline 😀 Thanks for commenting! I'm not a big flower person. They're pretty but I couldn't tell you what they were. I loooove books with dogs as secondary characters. I'm gonna go with pretty much all of Jennifer Crusie's romances. They always have a dog or in a few cases cats that steal the show! Thanks for sharing and congrats on the series! OMG I love Jennifer Crusie books! And thanks so much for commenting! Thank for the giveaway. Now that I'm aware of Ms. Bell's books, I will purchase them, they look like a fun and thoughtful read...imagine-- a romance hero who chooses to remain heirless! But what about 'the line'? My fave flower USED to be daffodils but now I'm fixated on roses, esp. 'Pope John Paul' rose. Lovely pure white. And I do love cats. In fact, I want adopt a cat, but I'm having trouble finding the RIGHT cat. (sigh)! Ms. Bell should cast her cats as characters in her next book. Very droll! I don't have a favorite flower. I love them all. I enjoy reading about pets. Thanks for the giveaway! Hi, Lenora! When I lived in Virginia for many years, I could not wait for my bulbs to come up in the spring. Unfortunately, every time I planted them in the fall, the moles and voles would eat most of them. Now, that I live in Florida, I have to say that hibiscus and bougainvillea are my two favorite. So many different shades of colors for both of these plants. How could one choose a favorite? I'm so looking forward to reading "Blame it on the Duke." Congratulations on your terrific successes! Thank you so much, Connie! Hibiscus is so very lovely I agree! My favorite flowers are orange blossoms and honeysuckle. We had both where I grew up and it reminds me of home. I'm an animal person so I enjoy pets in stories - no real favorites, love them all. Those both smell so good! Would make a lovely perfume. Thanks for commenting!